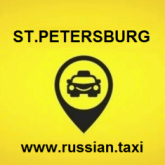 St Petersburg Airport Taxi is an English - speaking taxi transfer solutions in Saint Petersburg with cheap rates and comfortable cars. Most of our drivers can speak English. A taxi driver at St. Petersburg Airport will help you with your luggage. The passenger can be sure that a taxi at Pulkovo (LED) airport and at the train and bus stations or port in St. Petersburg will be comfortable, reliable and inexpensive. We are able to arrange a transfer from the city of St. Petersburg to Pulkovo Airport, to the Moscow (Moskovsky) Train Station, Ladoga (Ladozhsky) Train Station, Finland (Finlyandsky) Train Station and to the bus station of St. Petersburg, the Sea Cruise Port (Morskoy fasad) and the River Cruise Port (River terminal). Very popular are transfers to Pushkin - Tsarskoe Selo, Peterhof, Pavlovsk, Strelnya, Lomonosov and Gatchina. Our drivers will take you to the theater or museum. If you wish to see the sights of our city, we can provide you a car rental service with an English-speaking professional. Chauffeur drive in Saint Petersburg is available and charged per hour. Take an advantage of our online booking and fixed tariffs. All rates are calculated per car and provided in advance. There are no hidden costs. You can pay for the English-speaking taxi transfer services in St. Petersburg by cash or with your bank card when booking online. Send your special requirements using our booking form.